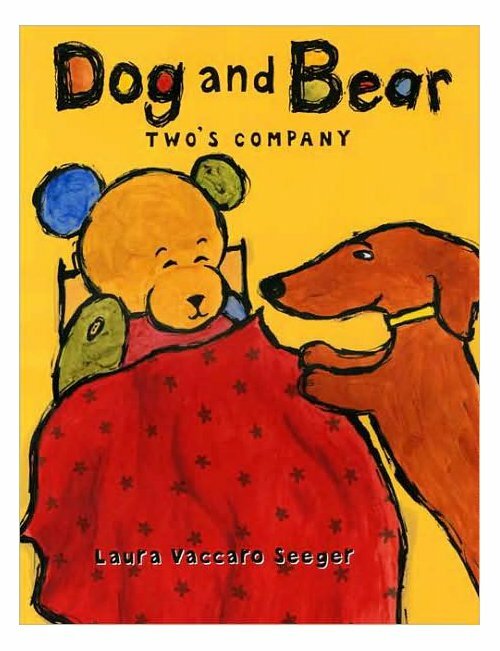 But smart concept books aside, Seeger has also brought readers one of children’s literature’s most unforgettable and lovable duos, Dog and Bear. 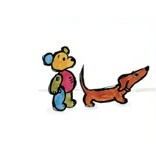 “What do a frisky dachshund and a slightly timid stuffed bear have in common?” she writes at her site. 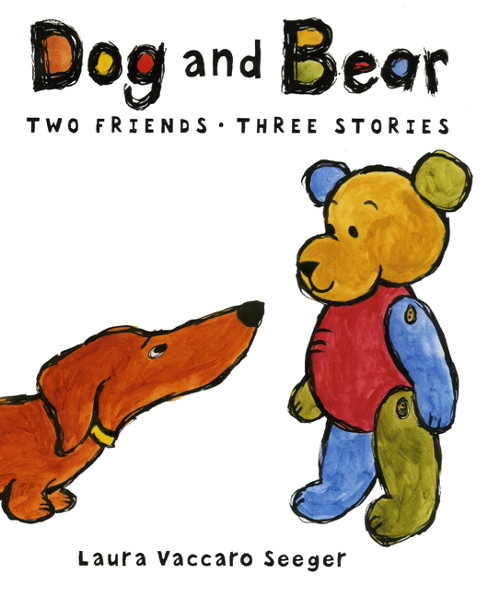 “They are best friends.” Dog and Bear appeared in 2007—winning many honors, including the Boston Globe/Horn Book Award for Best Picture Book—in three short and endearing stories, perfect for early readers. 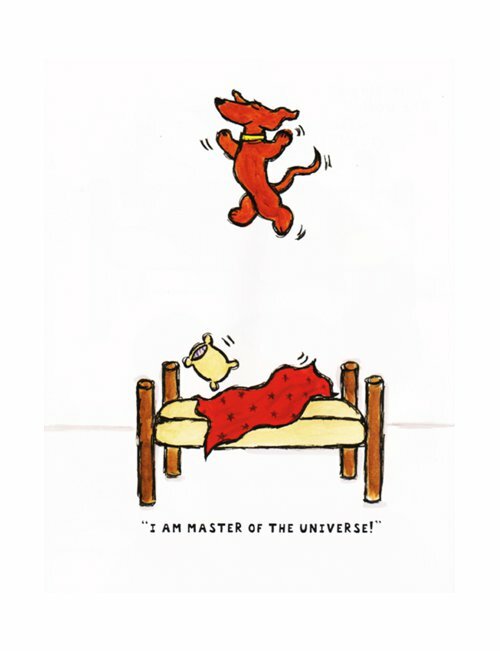 That book was followed by two more volumes of Dog and Bear tales, stories that emanate warmth and humor. 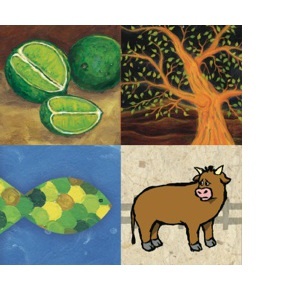 Laura’s newest title, Green (Neal Porter/Roaring Brook Press, March 2012), also including die-cuts, has been met with rave reviews all-around and has even generated Caldecott buzz this early in the year. It’s just that good. 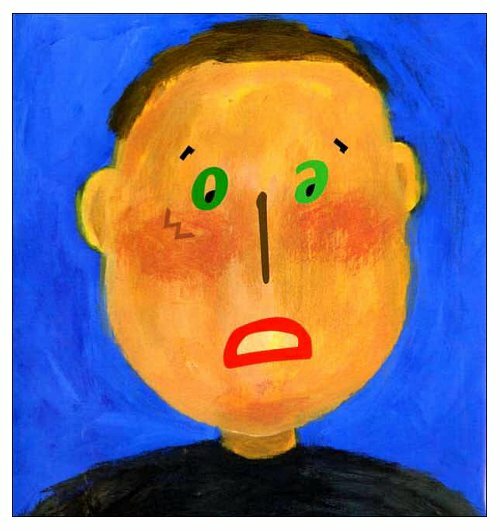 Pamela Paul describes it as “one of those deceptively simple picture books that to the casual bookstore browser can seem to be about nothing much at all. 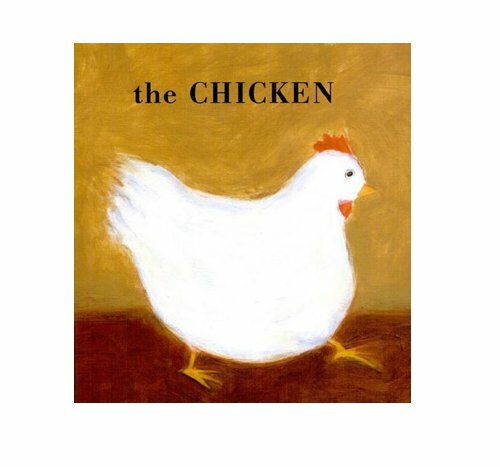 But the reader who settles down and slowly pages through its gorgeous acrylic paintings or, better yet, reads it aloud to a young child, will find rich rewards.” In this one, Laura explores the color green, and I boldly say that you really must get a copy of this in your very own hands and read for yourself. Laura also says a bit more about it below. 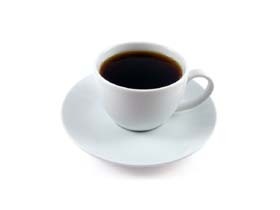 I’ll set the table, while I get the basics from her before our breakfast chat. I thank her for visiting. Dog and Bear: Three to Get Ready. Dog and Bear: Two’s Company. Dog and Bear: Two Friends, Three Stories. Black? White! Day? Night! 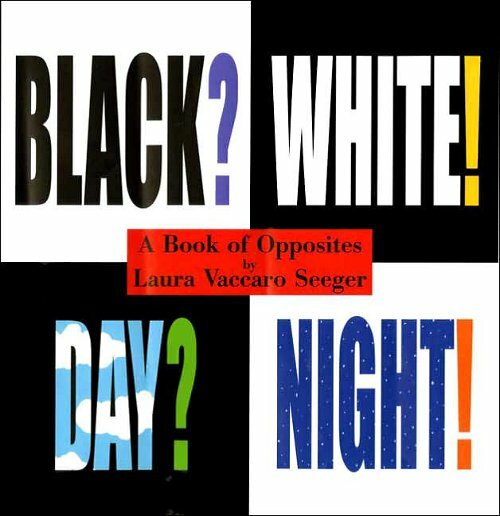 A Book of Opposites. Laura: I used to paint primarily with oils, but because I can be very impatient, I had trouble waiting for the paint to dry! Now I often paint with acrylics, but I really let the story dictate the art style. 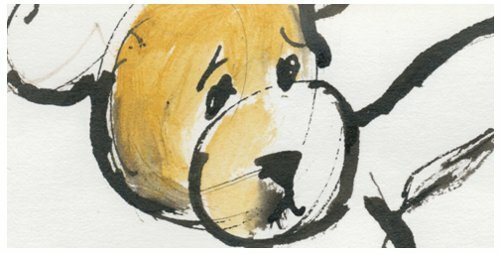 For example, for Dog and Bear I wanted the art to have a spontaneity about it, so I used a sketchy line of India ink and watered-down acrylic paint. 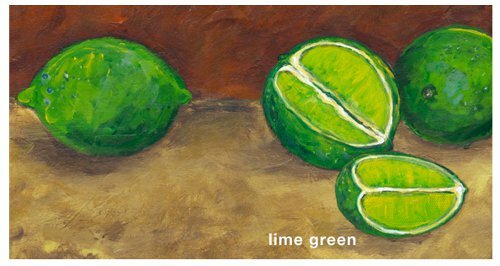 For books like Green and First the Egg, I wanted the paintings to be lush, so I used a very painterly style with acrylic paint. For One Boy and Black/White, I thought a more graphic style worked best. From Black? White! Day? Night! 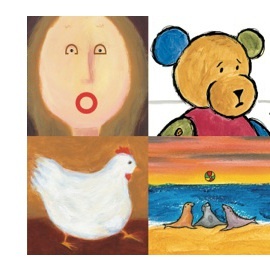 Laura: I’ve illustrated primarily picture books, though my Dog and Bear series is now published as an early reader edition, as well. 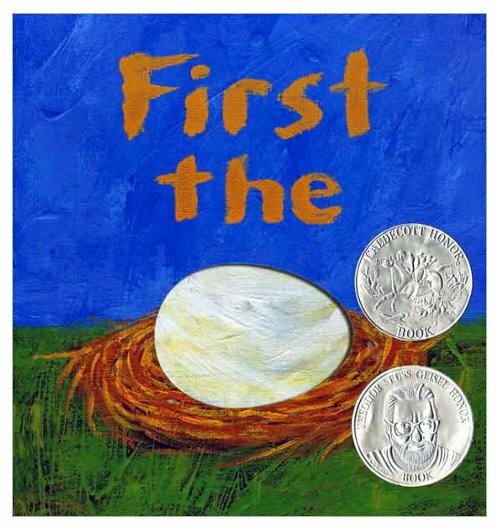 Given the fact that I am an artist as well as a writer, the picture book format is really perfect for me. 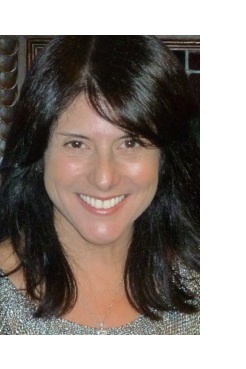 Laura: I live about 35 minutes outside of New York City, on Long Island in Rockville Centre. 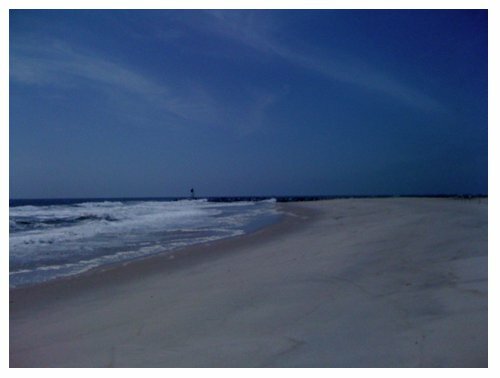 My house is about 5 miles from the ocean, so I spend a lot of time running, walking, and writing at the beach. Laura: I began my career as an animator in the television business. I created show openings for NBC for many years and for ABC and FOX, as well. 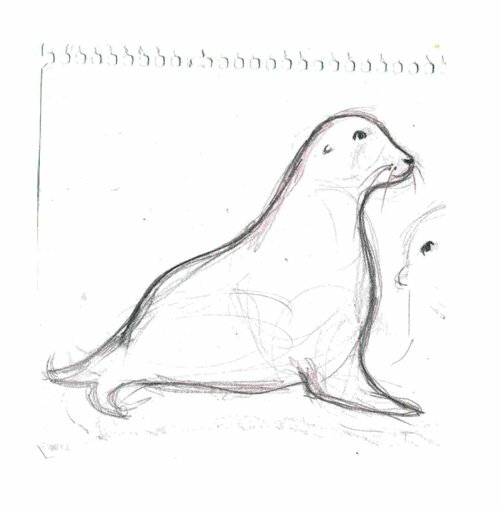 But I’d always wanted to make picture books and throughout the years, I recorded countless ideas for books in my journals. After my boys were born, I tried to continue my career in television, but decided that the time had come to try to get a book published. I was incredibly fortunate to have met my editor, Neal Porter, almost immediately. He’s been my editor for each and every one of my books. I remember the day I realized how lucky I was to have Neal as my editor. It was after my first book was published and we were meeting to talk about the possibility of a second one. I asked him what he thought made a book successful, and he told me that the best books were usually the ones that were worked on the hardest. I went home that night and began work on a new book, but as time went on, I began to feel that it just wasn’t coming together. I thought about giving up on the idea, but his words echoed in my mind as I kept at it. 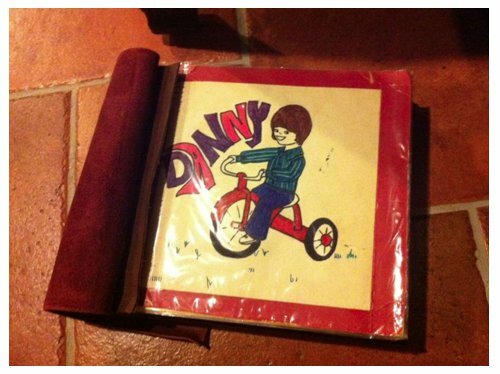 Eventually that book did come together and became The Hidden Alphabet. Laura: I used to visit far more schools than I do now. I was finding it difficult to meet the demands of book deadlines, while maintaining a busy speaking schedule. Now I speak mostly at conferences like ALA and IRA. I really enjoy meeting and speaking with librarians and teachers. Their love and knowledge of books is wonderful and inspiring, and I’d realized long ago that they are the gateway to the children. Every once in a while, though, I do speak at schools, especially if there is a connection with the school for one reason or another. Laura: My newest book, Green, has just been released and was quite a challenge, as from the start I knew that the book should be about the environment, but I was completely uncomfortable jumping on the green-bandwagon. I worried that it would come across as didactic. I’d written several texts for the book in varying lengths and styles, all of which I’d abandoned as they ultimately didn’t sound like my voice. Finally, I’d decided that I wouldn’t do the book at all and proceeded to work on others instead. Then, one night at around midnight, I began to think about the color green. 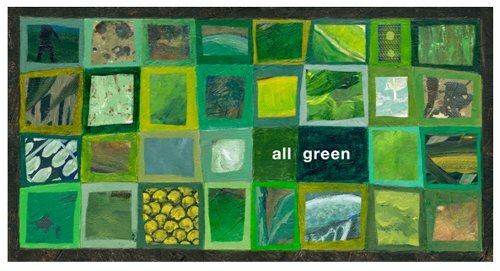 What finally came together was a simple poem exploring green in our physical and abstract worlds with, of course, a subtle tie-in to the environment in (I hope) a gentle, hopeful, and positive way. 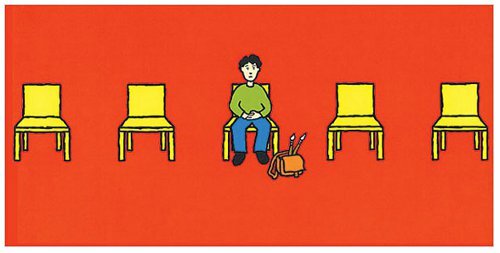 Okay, the coffee is on the table, and it’s time to get a bit more detailed with six questions over breakfast. I thank Laura again for visiting 7-Imp. Laura: I always start with what I think is a cool and/or interesting concept, even if it’s a narrative. 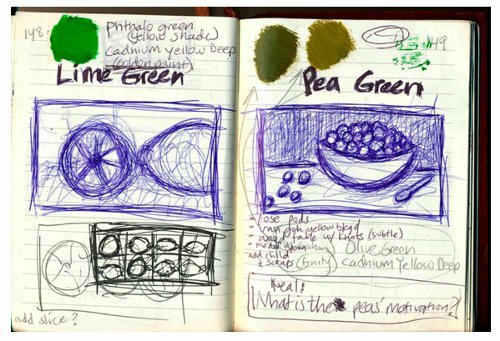 Then I start writing and sketching in my journal to see if the idea has the potential to evolve into an entire book. If I think it will, I then run it by my editor and if he likes it, too, then I’m off and running. The next step is one that’s difficult to describe, because it mostly takes place in my head. I think about it and think about it – and think about it some more, sometimes for months. That’s why I usually begin the idea and thinking process of a book while in the production process of another one so that they overlap. Once I’ve got the story or concept roughly worked out in my mind, I begin sketching, though there are certainly a myriad doodles that make it into the journal from the start. 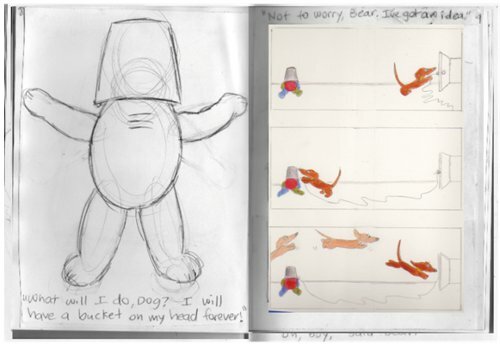 I approach each book as if it’s an animation, so I usually make a storyboard, outlining the key “frames” needed to convey the story. 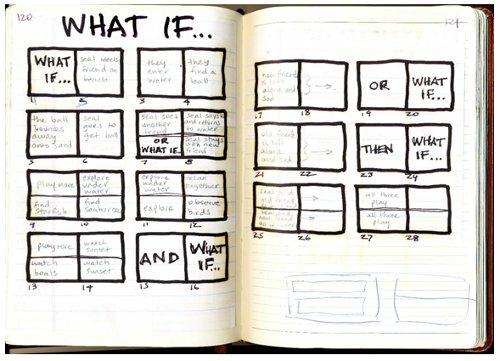 First journal storyboard for What If? I then create a dummy for the book, which consists of the exact number of pages in the book and all its content, usually written and drawn in pencil to allow for lots of revision. The most difficult part for me is that stage between writing/thinking/sketching and beginning the final art. I am always fearful that I won’t be able to execute the idea to its full potential. 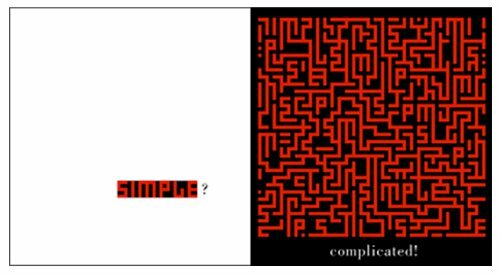 Because the art style is, for me, determined by the text, I am often experimenting with a new style designed specifically for each book. This is at once exciting and frightening! Once I get on a roll in the production stage, I usually lock myself in my studio for weeks and months on end, and I become somewhat obsessed, writing and rewriting, and painting and repainting until it’s just right. 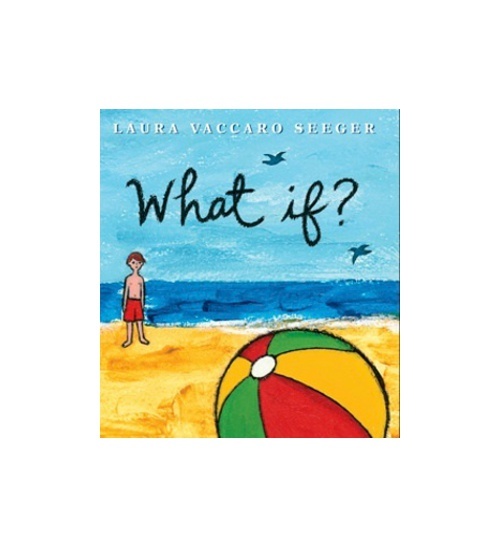 First sketch for What If? 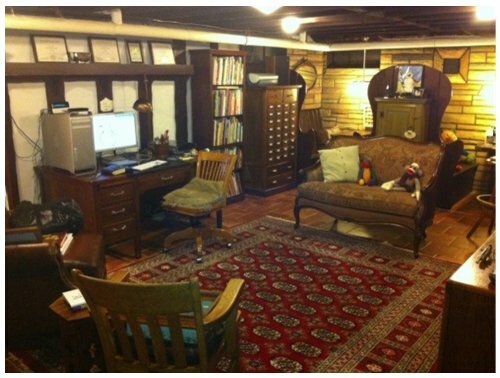 Laura: My studio has a big comfy chair for writing, an easel with a daylight-light attached for painting, a desk for computing, bookcases filled with picture books, and lots and lots of art supplies, many of which are stored in library card catalog cabinets. 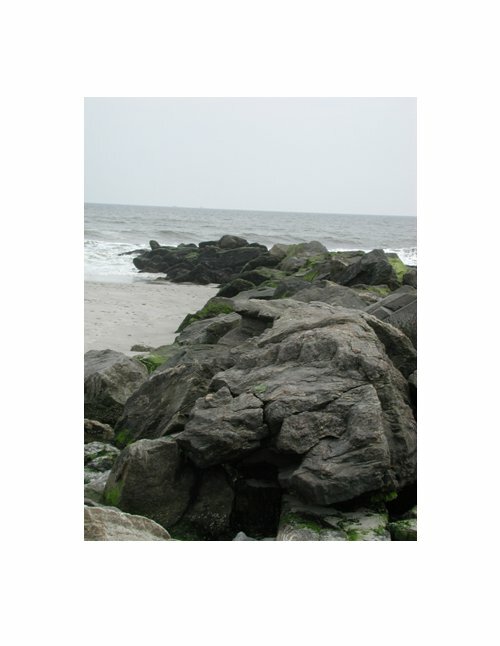 I also consider the beach my workplace, as that’s where I get most of my ideas and work out most of the challenges in my books. Laura: As a child, I spent a great deal of time writing and illustrating my own books, but I do remember being strongly influenced by books like Where the Wild Things Are by Maurice Sendak. I remember sitting on my grandmother’s lap while she read The Little Engine That Could by Watty Piper. I was so impressed with the little engine’s bravery, confidence, and perseverance. Laura: This is a tough one, because I’ve been fortunate to have met and become friends with so many of my favorite authors. 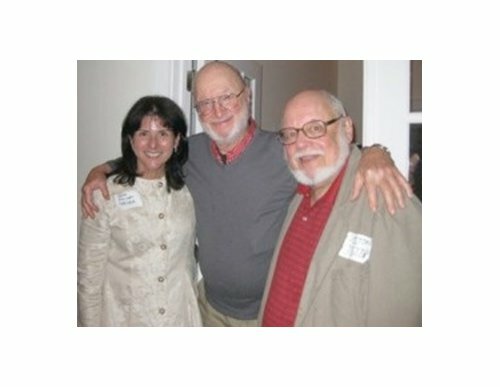 I was honored to share a wonderful evening recently with two of my idols, Jules Feifer and Norton Juster, at a party in Northhampton, Massachusetts (pictured below). I wish I could have had an opportunity to meet James Marshall and Arnold Lobel. Laura: Music is an essential ingredient in my creative process. Especially when I’m first formulating a book idea. One of my favorite times of day is when I go for a run with my headphones on –- I get lost in the music and I’m able to let my mind wander freely. Right now, my playlist includes my son, Dylan’s, new album, Readers and Reporters, music by Radiohead, Pink Floyd, Norah Jones, Adele, and Eric Clapton, to name a few. Laura: I can pick up just about ANYTHING with my toes! Laura: My husband, my children, family, nature, sunshine, ocean, running, music, art, poetry. Laura: Rude people, mean people, paperwork. Laura: Whining (unless it’s on purpose, because whining can be extremely therapeutic). Laura: I’d love to be a teacher or a musician (or both). Laura: Pilot, stewardess, mountain climber — anything that involves heights. I’m afraid of heights. Note: Here is Jama Rattigan’s stellar 2008 interview with Ms. Seeger. 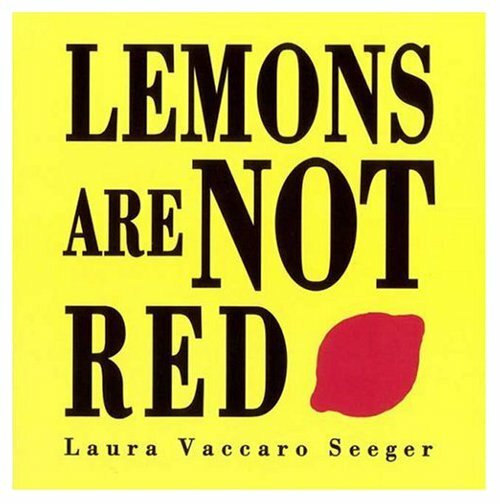 All artwork and images used with permission of Laura Vaccaro Seeger. 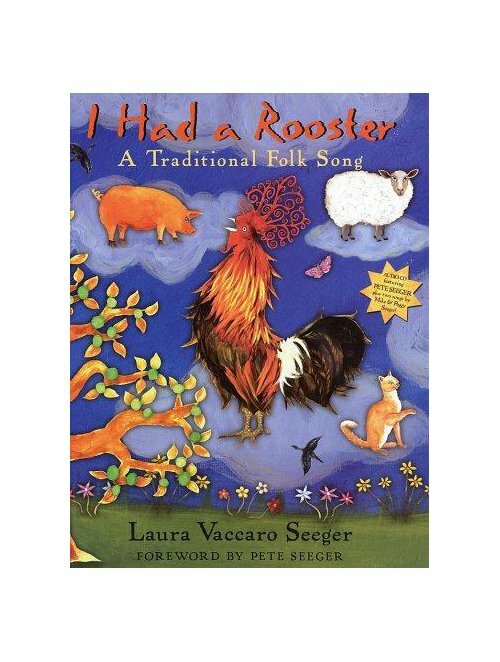 I have been a fan of Laura Seeger books since the beginning. We have almost all of her titles on the shelves in our library media center. I just picked up Green this weekend. I am waiting for the right moment to savor every single page. Many thanks to you both for this delightful interview. 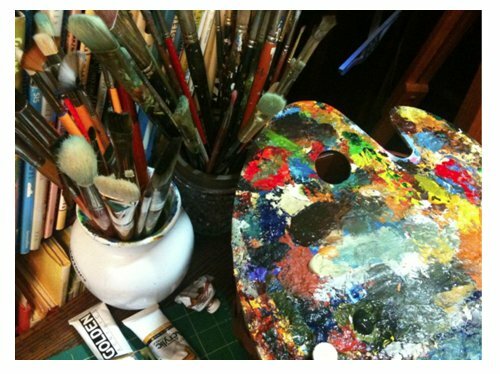 Love seeing the process in her journal and…the sock monkey on her studio sofa. I can’t think of a better way to begin a morning than reading an interview such as this. 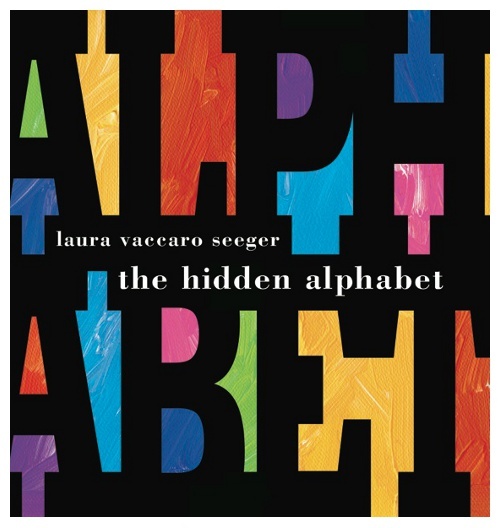 Far from the “usual” type of writer, Laura Vaccaro Seeger enchants me with how she uses her illustration to teach something – the depths of color, the crispness of shape, the ebullience of movement. I LOVE her stuff. Love, love, love it. 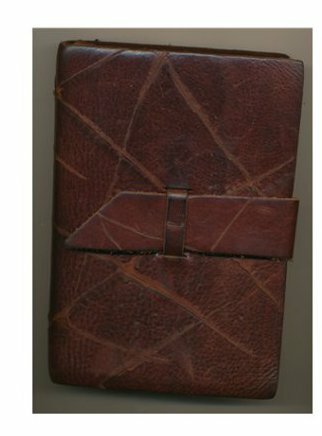 Somehow, even her notebooks are deeply interesting. I love the studio and I love the fact that you’re too impatient to paint with oils. Funny! Great interview, great books! Loved this interview. 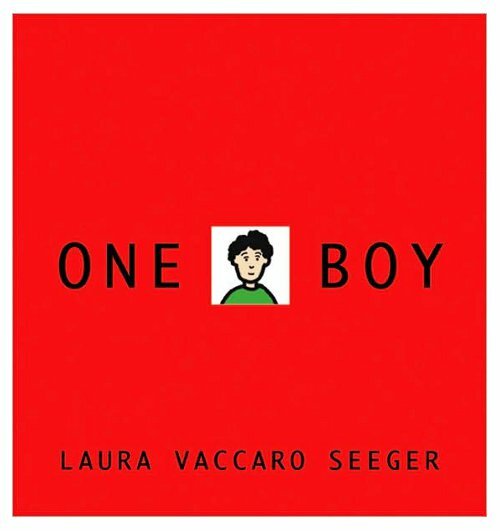 We own multiple copies of all of Laura’s books at my library and use them regularly in our storytimes. They do not get old. I am always glad when I see that she has something new coming out. So excited to learn more about Laura here. 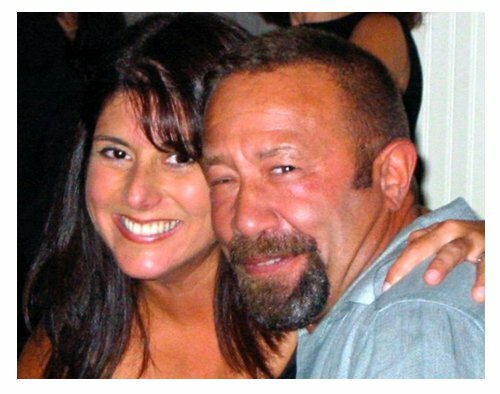 I have been a huge fan for a long time. And then Green just sealed the deal- what a gorgeous work of art!